One of our main objectives is to influence the clean-up of rivers across the UK, where many waterways are impacted by a variety of undesirable inputs. We use local issues to bring attention to problems at national level, and one such case is very topical on the Upper Itchen right now. 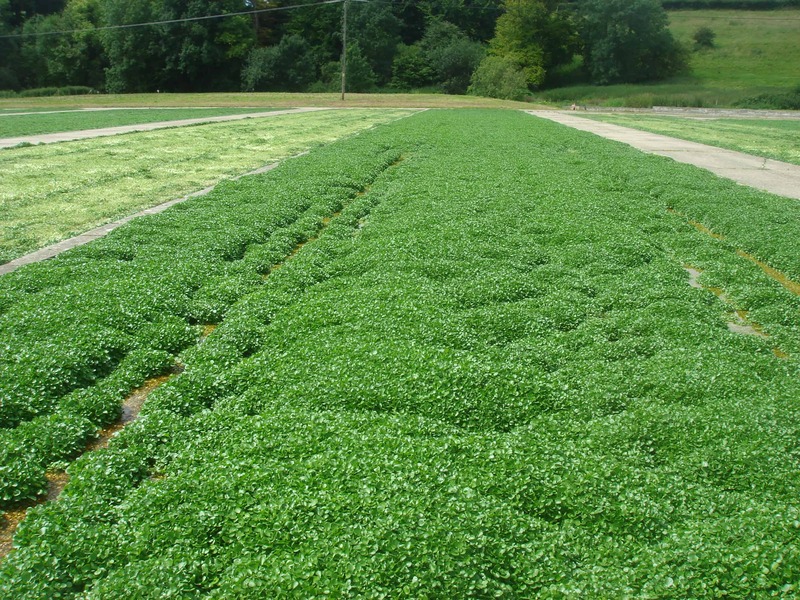 Alresford Salads, who process and package watercress and other salads into bags for supermarkets, has applied for a new licence to discharge chemicals directly into the river. In the past, they have used chlorine to wash salads, and still use chlorine-based chemicals to clean down the processing plant at the end of the day’s production. These chemicals are lethal to fish and aquatic insects. It is extraordinary that chlorine was ever allowed to be discharged into any UK river, but the fact that it was allowed into the Itchen, a Special Area of Conservation under the EU Habitats Directive, is staggering. Without going into huge detail, these licenses are controlled by a central Environment Agency (EA) National Permitting department. Alresford Salads has applied for a licence to use new chemicals and, although we suspect that local EA people are unhappy with any such discharge into the river, their advice seems to have been ignored by EA National Permitting who appear instead to have given way to commercial interests rather than do their job to protect the river environment. True, they have followed a box-ticking exercise which includes an Environmental Impact Assessment of the new chemicals that Alresford Salads now intend to use, but they are still prepared for chemicals to be poured directly into the river daily – and what would happen if there was an accidental spillage of, say, concentrated chemical? The solution would have been simple – the EA could have forced Alresford Salads to connect to the mains sewer as its competitor, Vitacress, does on the Bourne Rivulet (a stream with no SAC or SSSI protection). It would have cost money, of course, but it would have protected this once-famous river from potential chemical pollution from the salad washing plant, and that, surely, is the priority for an environmental regulator? This decision is astounding in 21st century UK. It shouldn’t matter that the Itchen is one of our high profile chalkstreams – chemical discharge should not be allowed into any watercourse – but it is especially concerning that we cannot even protect these SAC rivers properly. Our Riverfly Census, which reports in a few months’ time on 3-years of invertebrate data analysis across 20 English and Welsh rivers, will show that sediment and phosphate are the biggest culprits of poor water quality. Our recently published peer-reviewed scientific paper (link below) shows that sediment and phosphate are both lethal to blue winged olive eggs, and almost certainly to many other water insect species as well. In Wales, slurry pollutes rivers on a seemingly weekly basis, and nothing is done about it. We must stop this pollution, and make sure that our regulators face up to their responsibilities to protect the environment, rather than cave in to commercial interest. See Blue Winged Olive Egg Study by Nick Everall et al.